Sometimes it’s hard to imagine how the objects we use in our daily lives could be improved by “smart” features. Do you really need a can opener that can tell you your heart rate? Probably not. 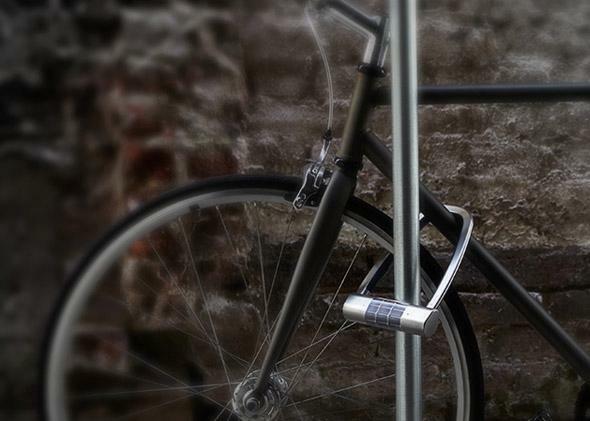 But Velo Labs is raising $50,000 for a smart project that makes total sense: a bike lock. The Skylock is a standard U-lock that connects to a smartphone app via Bluetooth to open your lock as you approach, like keyless entry on a car. You can also enter a code on the lock itself if you don’t have your phone. Skylock also has an accelerometer that detects motion near the bike and can warn you if someone is trying to steal it. Additionally, Skylock uses the accelerometer to detect if you’ve fallen off your bike or been in a collision and brings up a one-touch option on your smartphone to get help. One of the coolest things about SkyLock is that you can grant other smartphones access to it as well, so it can open for anyone you want. It’s an easy way to share a bike with someone or give them one time access. The downside to Skylock is that it’s going to retail for $249. It’s currently at a preview price of $159 (and today only it’s $139) if you support the crowdfunding campaign, but those price points seem pretty steep. Hopefully if the technology gets popular, though, the price will come down.